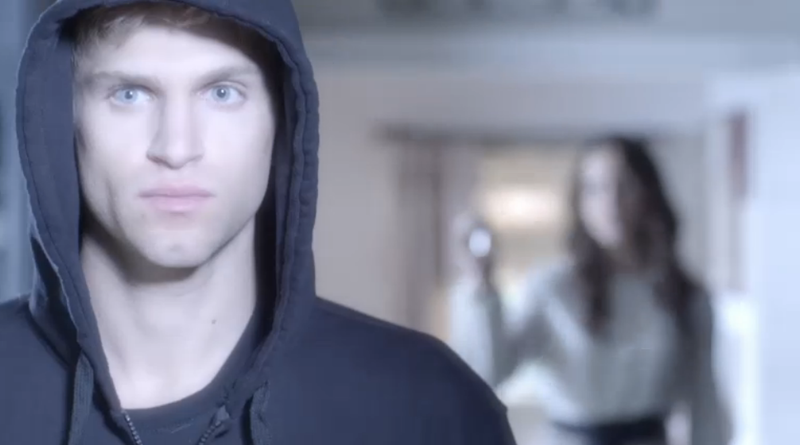 DAD IS EVIL, TOBY IS EVIL, MEREDITH IS GOOD? 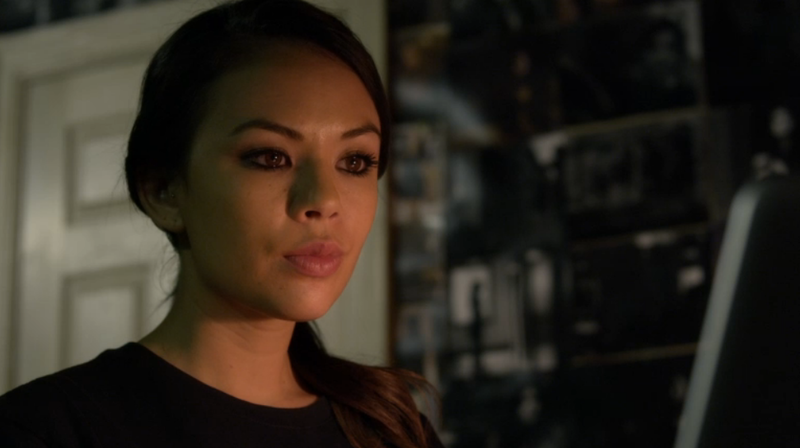 MONA IS SMARTER THAN SPENCER, ALSO: MORE EVIL THAN SPENCER. PAIGE IS LOSING IT, EMILY WORST GF. 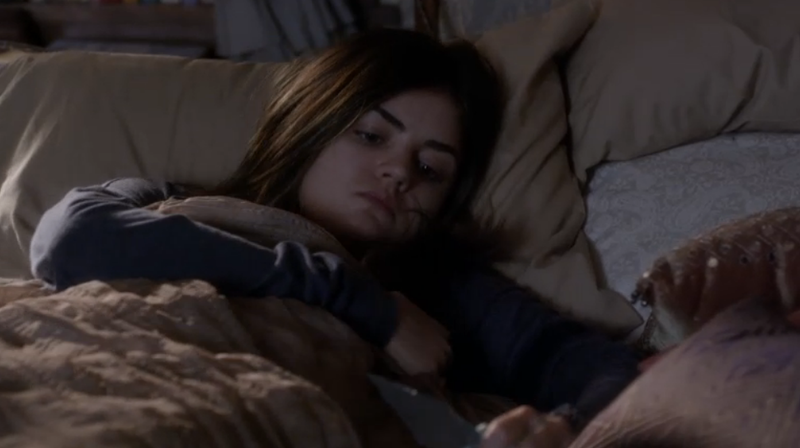 The episode starts off with our Liars huddled around, talking, with Aria still bedridden. This “magic potion” that her new BFF Meredith is giving her seems to be making her drowsier by the hour, which leads the cynic to believe that MAYBE IT’S NOT MAGIC AFTER ALL. So -A is bigger than Mona. That’s terrifying. Maybe -A is the phone company. Like, Verizon or something. I don’t know. Just guessing at this point. After a quick scene with Emily over at Toby’s spot (which looks like the nicest loft; super jealous of the -A money he’s apparently rolling in), we see OMG Spring Breakers‘ Ashley Benson Hanna and her Caleb/Riggins. 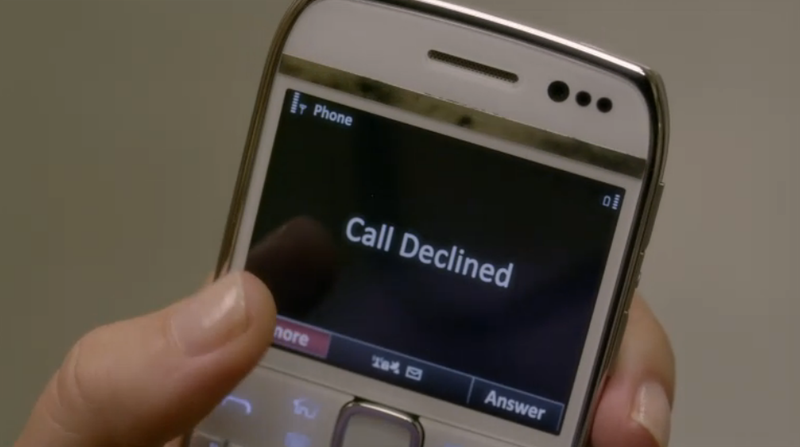 Well, Hanna sees him, but he doesn’t see her as he takes a cryptic phone call. 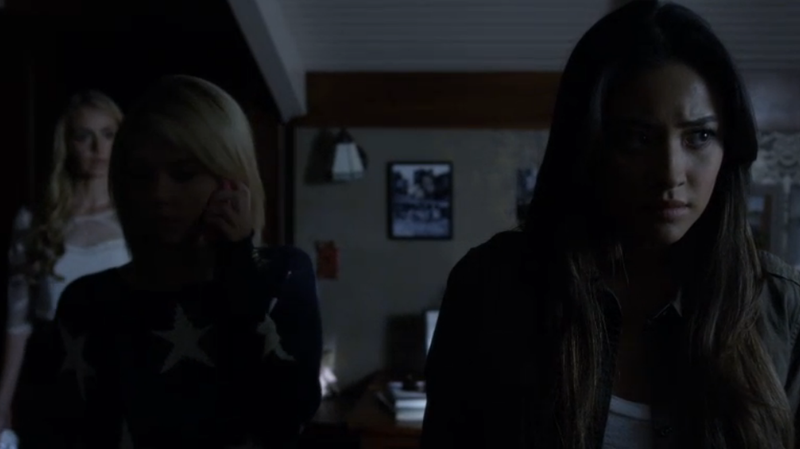 The subject of the call: Mona and not letting anyone hurt Hanna. Seems like he’s also a-plotting. 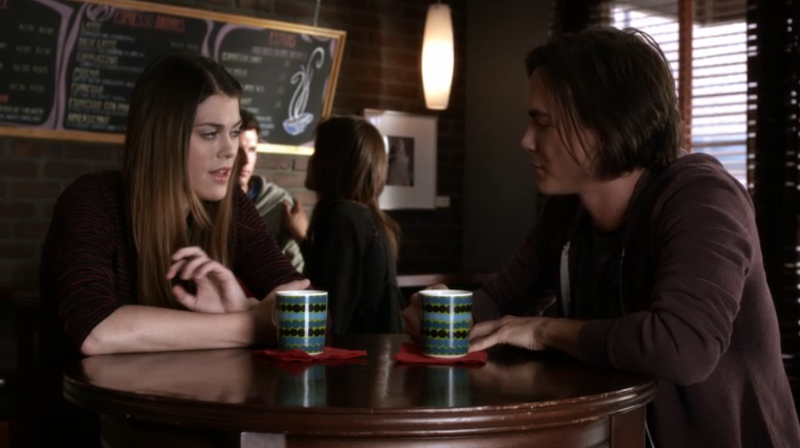 When Hanna asks about the phone call, in horrible Riggins-lying fashion, he says that it was his mom. She doesn’t believe him, but eventually just makes him promise to not do anything stupid. She knows something’s up, but is unsure about what it is. Next we see Spencer and her evil man (this is starting to get sad, because she’s so falling in love and he’s so trying to kill her). He’s shirtless, because he’s turned into the Usher Raymond/LL Cool J figure of this show, and Spencer is getting ready in her traditionally fantastic Spencer-wear. Apparently, when they get dressed, they set up this door partition, which I find to be the most hilarious thing ever. Anyway, today is their anniversary. But Spencer has to go to some dinner honoring her dad, so they can’t celebrate until the following day. Both parties appear to be sad (TOBY ISN’T SAD, SINCE HE HATH NO SOUL). After Spencer discovers a hole in Toby’s pants pocket (this is too weird of a detail to not become important later on), Spencer’s Mariska-like mom walks in on the shirtless bag of evil standing with her daughter. After this mother-daughter love fest, we see Aria, still sleeping, with Meredith snooping around the room. She’s looking for something. Aria wakes up, and Meredith goes back into “Are you OK? Here, DRINK MORE OF THIS MAGIC POISON” mode. They keep talking, and then Meredith asks about the pages. Apparently, the sleep-death elixer kicked in too quickly, however, because Aria never answers. Meredith doesn’t look surprised by this sudden fit of sleep, further proof that she’s 100 percent slipping her something to keep her asleep, so she can snoop around. This is real bad. It’s now lunchtime, and Emily and Paige are eating together. Emily asks if Paige has taken any steps to see anyone for her anxiety, and Paige says that she’s actually going to talk to someone this afternoon. Emily’s pleased. While this is happening, however, Hanna rolls over and steals Emily away from Paige, saying that it’s important. So yes, with that, Meredith is officially bad. Know that. When Mom walks away, she immediately calls Aria (because she’s a good mom and still not trusting of Meredith). 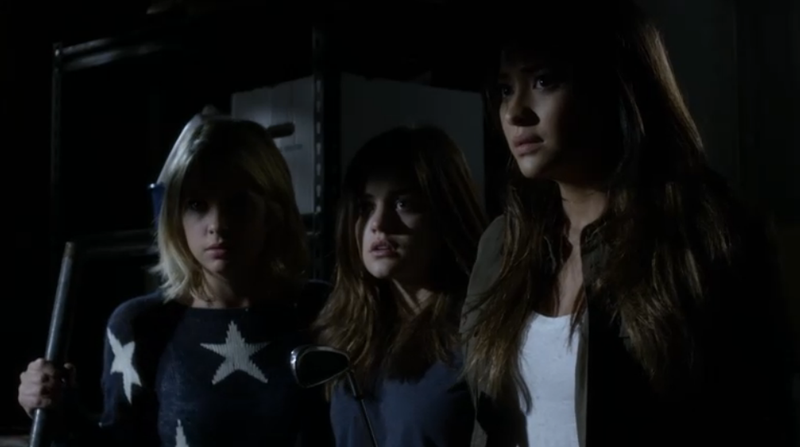 Two seconds later, Aria’s phone rings. 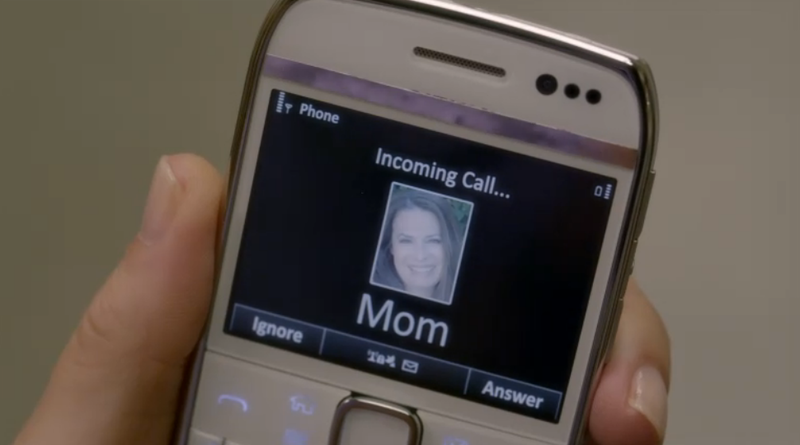 BUT MEREDITH HAS THE PHONE. 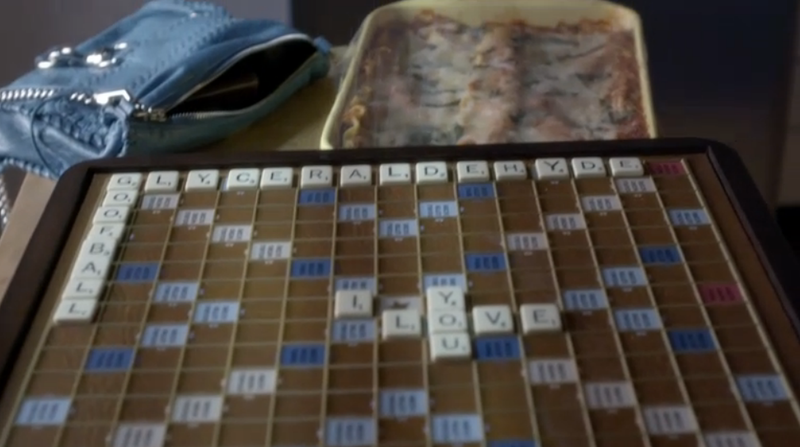 I see “I Love You,” “Goofball,” and of course, “Glyceraldehyde.” That’s love, people. 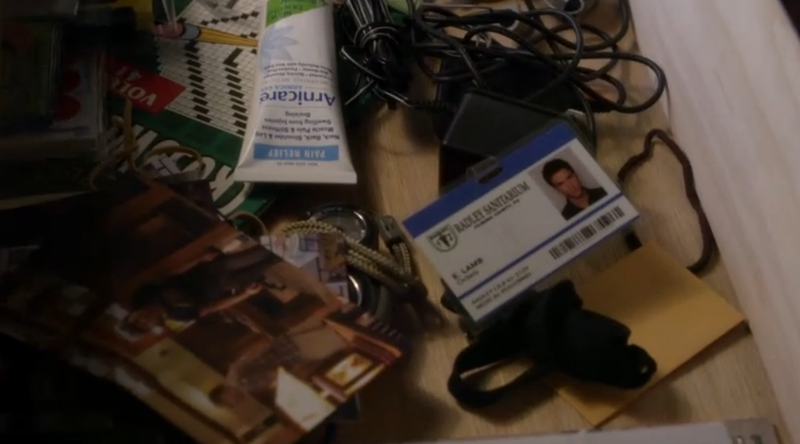 A FAKE TOBY ID FOR THE RADLEY SANITARIUM. That is not good. If Spencer sees that, she might start to figure it out. Very torn over whether I want her to find it, because on one hand it means their fake love will end, but on the other hand, it may mean that she won’t die at dinner in a few hours. TORN. Finally, there’s Hanna. She shows up for her job interview with “Corine” and no one is to be found in the studio. And then the lights go out. And then a hooded figure comes across the screen. THIS IS A HORRIBLE JOB INTERVIEW. -A strikes again. But not before he/she drops something. A key of some sorts. One that would fall out if someone, say, HAD A HOLE IN HIS PANTS POCKET. Do better, Toby. It’s like you’re trying to get caught. After Hanna’s spill, we head back to Emily’s CIA mission, during which she sees Riggins in the coffee shop, seemingly waiting on someone. Trying not to get spotted, Emily continues to wait, but then gets a text saying she’s needed. Leaving the scene, she never gets to see who Rigs is meeting with. Oh, hello, Paige and Riggins. Nice to see you, too. The meeting makes sense, though. They’re both tired of -A meddling in their lives and they’re both scared that their significant others are in danger. And they plan on stopping -A, even if it means doing it behind their lovers’ backs. It’s honorable, and definitely the right move, but this cannot end well. AHHHHH GHOST ALI IS BACK OR IS SHE REAL I DON’T KNOW SHE LOOKS SO REAL. Way to give the girl LSD, Meredith. WAY TO GO. 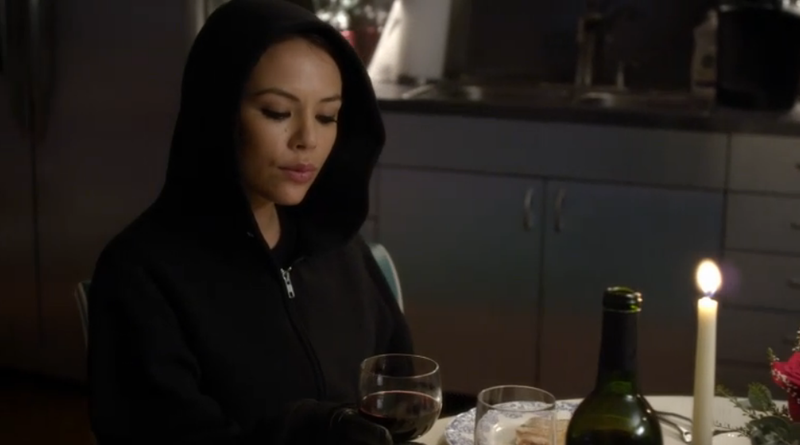 Back to the PCP dream, and Aria’s sitting as Ali talks about everything. She says she sees -A everywhere, as do the girls (in addition to saying “I’m surprised Spencer hasn’t figured that out” — a line, one has to believe, that’s less about her smarts and more about Toby). And then GHOST/REAL ALI tells Aria not to drink any more of Meredith’s Satan Tea. GHOST/REAL ALI leaves, and then Aria wakes up. (I think?) She reaches for the tea, but then remembers that it’s probably Meredith poison, and puts it down. And then she tries to leave her room, but it’s locked. She’s trapped. Meredith is probably about to kill her. PLEASE CONNECT THE DOTS, LADIES. Back to Aria’s jail-cell bedroom, where she has broken a mirror. 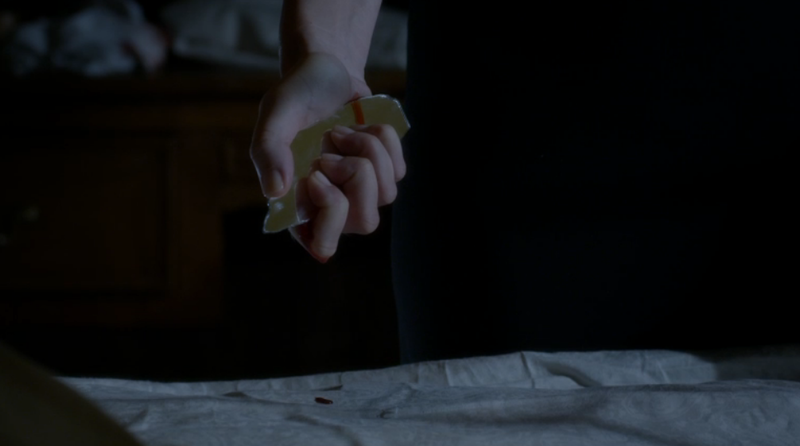 And, in one of the most aggressive moves ever, she’s taken a blade of glass back to bed with her, in case she needs to stab Meredith in a few. It won’t be good if she falls asleep, you know, with a dagger in her hand. Bad, even. Back to Spencer’s house, and Toby surprises her with flowers. It’s cute, but now hard to watch, because I can just feel this relationship coming to a screeching, murderous halt in about two episodes. So sad. 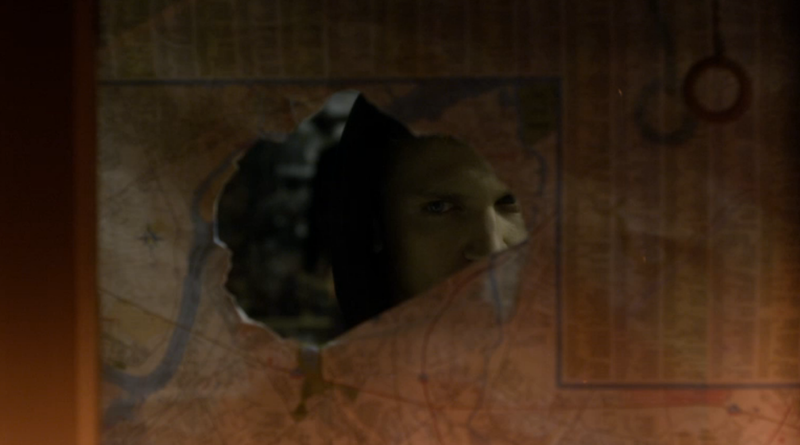 Also, Toby sees the key (that he dropped) and asks Spencer about it. She says it’s Melissa’s and puts it away. Hmmmm. He leaves, and Spencer looks worried. Something’s up. Maybe it’s fewer than two episodes away. I just don’t know. MEREDITH’S BARE-HANDING THE GLASS, SHE’S CRAYYYYYY. This is horrible. Meredith wants to know where to pages are, Aria won’t tell, and somehow runs out of the room. She makes it downstairs, finds the land-line phone (awkward), starts calling 911 (phones are down, because it’s storming, because it’s always storming, because storms and darkness were invented in Rosewood), but then gets closed-fist slapped by Meredith. The woman isn’t playing around. What happens next is one of the most insane things I’ve ever seen on this show. Meredith creeps behind them, and is acting creepier than ever. She makes up a story about how Aria’s looking for flashlights, and HOW THEY SHOULD ALL GO DOWN AND SEE HER TOGETHER. 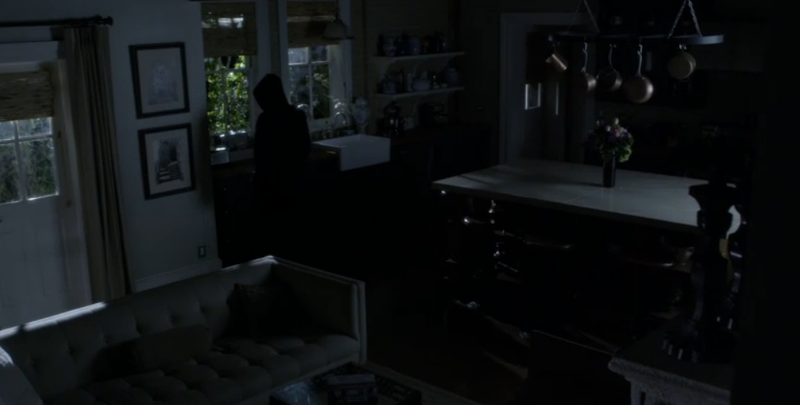 And, after seeing Meredith hold Aria’s phone as Hanna called her, THEY FOLLOW THIS WOMAN DOWNSTAIRS. And then, to really solidify themselves as just the dumbest, they let Meredith open the door to the basement, AND THEN THEY WALK IN FIRST AND LET MEREDITH CLOSE THE DOOR BEHIND THEM, THUS TRAPPING THEM IN THE MURDER BASEMENT. OF COURSE IT’S LOCKED, SHE’S TRYING TO KILL YOU. Aria eventually wakes up, and then they see LORD BYRON pull up. He walks into his house, and Meredith’s sitting by the fire, looking insane. She tells LORD BYRON that the girls know everything (what “everything” is, we don’t fully know, but Ali/pages-related things), but he makes his way to the basement. Luckily, the girls are strapped. He finishes his story, says some other stuff that I still don’t believe is true (nor should you), and then we leave the basement for what appears to be Spencer’s house. -A’s trying to break in. Which means Toby is trying to break in. Looks like he’s come back for the key he dropped. He’s going through the drawer, trying to find it in the dark, and then OH NO IT’S HAPPENING RIGHT NOW, NOT IN TWO EPISODES FROM NOW. I’m almost in tears right now. I wasn’t prepared for this so soon. Spencer stares him down, he says something to her, and she slaps him. 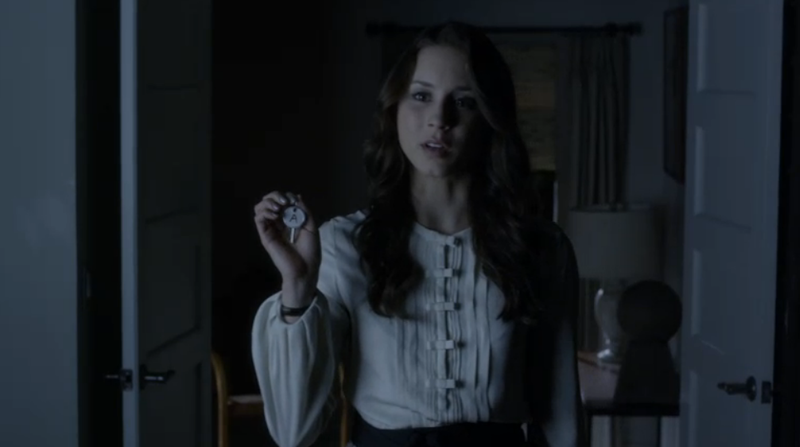 He asks how long she’s known, and he shows her the Radley ID. 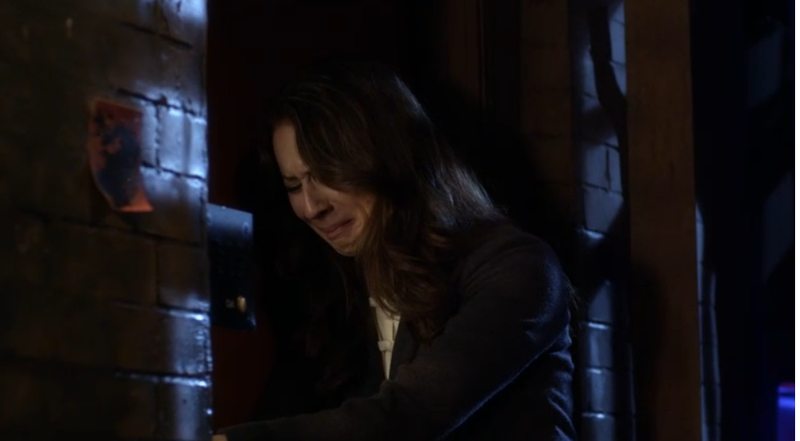 Then Spencer’s mom walks in the house, Toby disappears (because that what you do when you’re quick and evil), and then Spencer breaks down in her mother’s arms. Poor girl. Poor, poor girl. This is hard to watch. That’s sweet, but you shouldn’t. Not even for a second. DRINKING THE WINE THAT SPENCER BROUGHT FOR HER ANNIVERSARY DINNER. That’s got to be the coldest move ever.